& from Belgium / België / Belgique including Seneffe. The picture sleeve is front laminated & pasted on the reverse. Both panels are clean & all text clearly legible. There is some light corner creasing from ring wear but nothing excessive. This is now a highly prized sixties record & to find one in any condition is a lucky day for us both! The vinyl has been professionally cleaned on a top of the line Matrix machine & has come up looking sparkling. On close inspection, there are a few faint scuffs & the odd tiny scratch but on a mono playback, this is rendered purely cosmetic, thanks to the quality of sixties vinyl. By no means mint, this is still a very pleasing VG/VG- example of a classic sixties record that should not be missing in any collection. 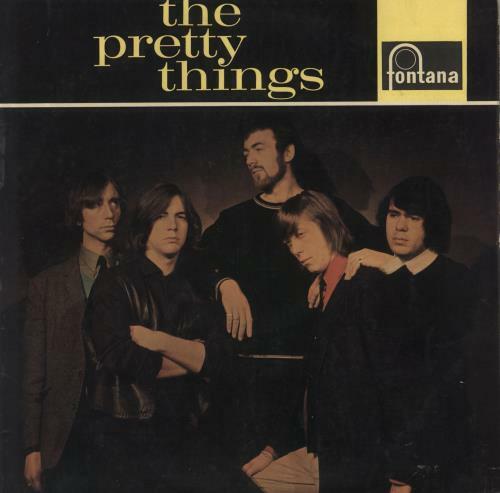 Product Information The Pretty Things The Pretty Things - 1st - VG UK vinyl LP album (LP record).